You are reading Black Clover manga chapter 056 in English. 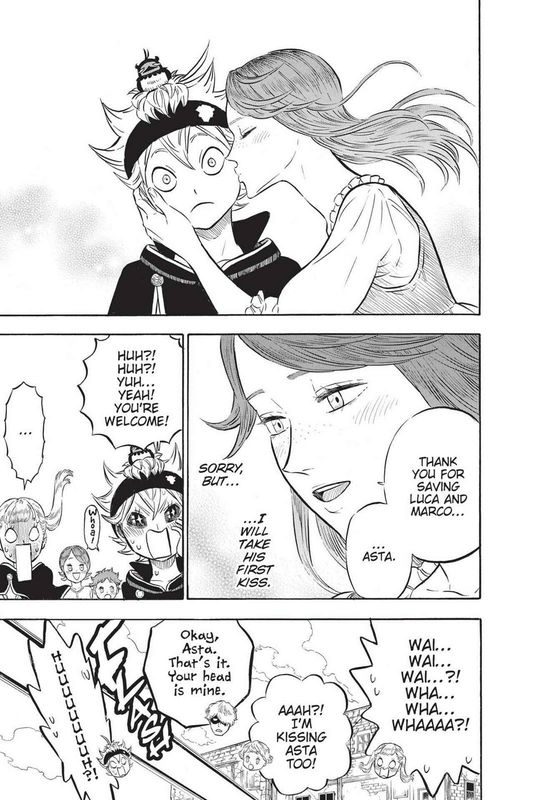 Read Chapter 056 of Black Clover manga online on readblackclover.com for free. Black Clover Chapter 056! You are now reading Black Clover Chapter 056 online. 56 chap, Black Clover Chapter 056 high quality, Black Clover Chapter 056 manga scan. Asta should get with the girl that kissed him. Guys, what if Yami dies? The thought of it makes me not want to continue. So who was the transformation guy transformed as?